Gonzalo Fernandez de Oviedo " Libro vltimo delos infortunios y naufragios. " Libro vltimo delos infortunios y naufragios. Transcribed from a scan of the original printed version and converted to xml encoding by the students from HISP 298 at Wheaton College, Fall 2004: Dania Diaz, Julian Garberson, Alice Kellogg, Michael Margolin, Phoebe Stinson, Janet Turkovich, Katherine Weston, and Shauna Wojdak Additional edits and encoding by Kate Weston and Erica Adametz during the Spring, Summer, and Fall 2005. Related maps prepared by Phoebe Stinson and Taavi Raidma. 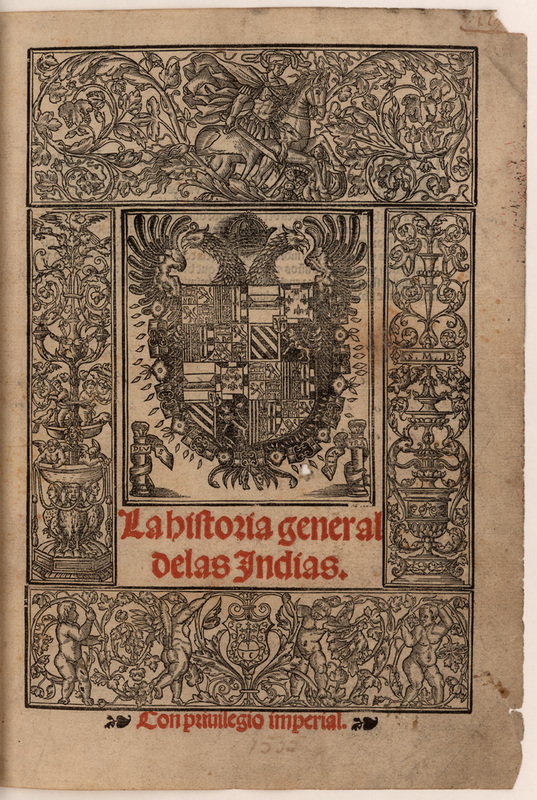 Published as part of the Historia General De Las Indias. Sevilla: En la empre[n]ta de Iuam Cromberger, 1535. The physical text is housed at The John Carter Brown Library, Providence, RI. Available for academic purposes; not for commercial distribution; all rights reserved. Permission has been given to Domingo Ledezma to publish the text in electronic form by The John Carter Brown Library, Providence, RI. This project is still in draft form.